A one-year certificate program providing advanced training in the methods and conduct of clinical research for faculty level clinicians. The program is comprised of nine (9) foundation courses, a concentration in either advanced epidemiology or clinical trials and a choice elective (drug development, secondary analysis of clinical trials, or survey design). The 2018-2019 program will enroll three global cohorts: Boston, London and Shanghai. 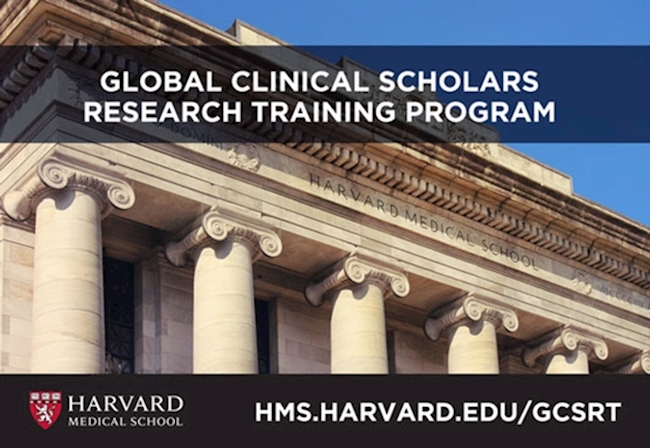 For more information about please visit our website http://hms.harvard.edu/gcsrt or feel free to contact us by email at gcsrt@hms.harvard.edu.